Many people believe that circumnavigating Taiwan on a bicycle is the best way to get to know it. But to overseas visitors, it can be an expensive proposition. They have to either fly in their own bike or spend thousands of Taiwan dollars to rent or even buy one here. A man who calls himself "Frog" has done something to change that. "If there were a group of people cycling around the island together, just imagine what that would look like. It would be as though Taiwan is rotating, full of dynamism and energy," says "Frog" – named Yang Ming-huang in Chinese – in his Frog Café, explaining why he decided three years ago to open bike coffee shops in Taipei and Bali, a scenic spot near the Taipei suburb of Danshui. In June 2007, after Yang and three friends circumnavigated Taiwan by bicycle, he decided to leave the online game company he was working for and devote himself to running his biking haven, the Frog Café. He was so enthralled by the spirit of adventure and feelings of attachment for his native land he experienced during his tour of Taiwan that he wanted to encourage young people to share the adventure. Yang invested NT$200,000 in 15 bicycles kept at his Bali outlet that are available for people to rent or borrow. Those who submit a simple "Frog Round-Taiwan Bicycling Sponsorship Plan" online, pay a NT$500 maintenance fee and contribute NT$500 to a fund for sustainably promoting biking around the island can use the bikes in Yang's shop for an unlimited number of days. "Surprisingly, the first person to submit an application was a woman from Hong Kong. She said she wanted to use the bicycle to get to know Taiwan's beautiful natural scenery," Yang says. After that, many other ethnic Chinese, from Chinese exchange students to Malaysian office workers, took advantage of Yang's plan to tour Taiwan's mountains and coastline. In the past two years, of the 231 people sponsored by the plan, one-sixth were from abroad. Most of them have already shared their "round the island" experiences in Yang's blog and written their own island biking stories. "I hope to provide even more information about touring the island, such as informing foreign visitors where there are friendly stores and what special characteristics different areas have, identifying local outlets where a foreign language is spoken, and using new mobile phone applications to enable foreign visitors to immediately upload their travel experiences in Taiwan," Yang says. This seemingly simple wish has, in fact, helped make Taiwan's wondrous bike travel popular with foreign visitors. Chihshang in Taidong County. Yuli in Hualian County. Dapi in Yunlin County. Houbi in Tainan County. These destinations all showcase pastoral landscapes that are so poignant, they evoke deep emotions in many ethnic Chinese. Community-building efforts have generated a vitality similar to that of the spring planting season, when the soil is broken up and new seedlings germinate, yielding unique green sightseeing opportunities. 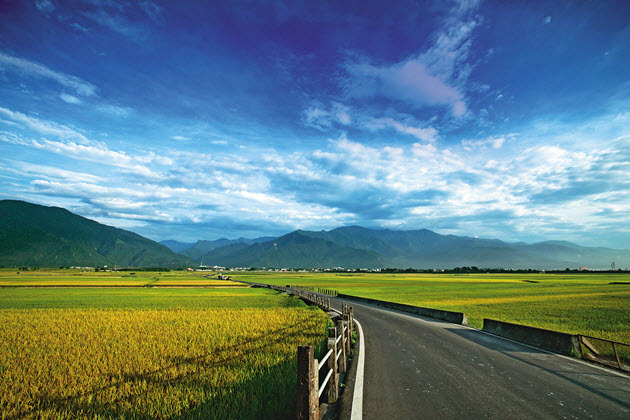 Independent travelers can shuttle between these pastoral paradises, while tour groups flock directly into Taiwan's appealing recreational farms. In recent years, Taiwan's leisure farms have even developed strong name recognition in Singapore and Malaysia, drawing many ethnic Chinese families from the two countries. More than 140,000 foreign nationals have already visited Taiwan's recreational farms this year, according to statistics from the Taiwan Leisure Farming Development Association, signs that a 20-year campaign to build tourism around local agriculture is having some success. The initiative first positioned farms as tourist orchards, and then they slowly evolved into integrated recreational areas complete with restaurants, accommodation and DIY farming experiences. Now, these leisure farms combine a service standard that is more refined than in Malaysia with an atmosphere that is more relaxed and natural than in Japan. They are better suited for a family travel experience than those in Australia or New Zealand, where visitors are limited to simply enjoying the scenes of the farms or livestock operations. Singaporean Lin Yeh-hsin, who brought his wife, daughter, and granddaughter to Dakeng Leisure Farm in Taichung County recently, watched as his family's three generations joined together to learn how to make mochi and perform aboriginal dances. Lin had his camcorder in hand the whole time, busily filming this happy family moment. Through this process of transformation and refinement, in which tradition has been preserved while satisfying the needs of modern-day travelers, Taiwan's rustic appeal has won the hearts of many overseas Chinese. On Dec. 4 in Taipei, well-known singer and songwriter Lo Ta-yu was giving a talk titled "My Time, My Songs," at Zhongshan Hall. 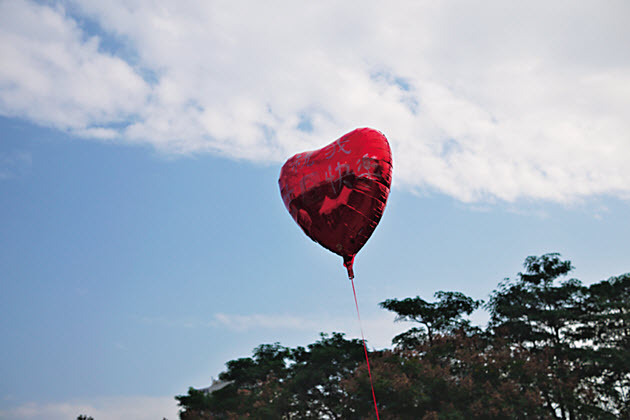 Two MRT stops away, Huashan Creative Park was holding its third Simple Life Festival. To attend the biennial event, many Hong Kong youths booked package deals with travel agents online well ahead of time. Over 3,000 tickets, costing NT$900 per day at the two-day event, were sold, boosting Taiwan's confidence in its lifestyle values. Taiwan's pop culture has proven to be more appealing than the winter sun. In recent years, the country's dynamic and enterprising cultural creativity has generated many commercial festivals attractive to the ethnic Chinese community that bear little resemblance to traditional holiday celebrations. Every April, Kending in southern Taiwan holds the Spring Scream music festival, and in July Yilan County hosts the International Children's Folklore and Folkgame Festival. "What we are selling is Taiwan's outstanding lifestyle, attitude and aesthetics. We examine our vision of life and hope to successfully communicate an interpretation of ‘life' with everybody, or at least with all ethnic Chinese," says Landy Chang, the CEO of Neutron Innovation, which organizes the Simple Life Festival. 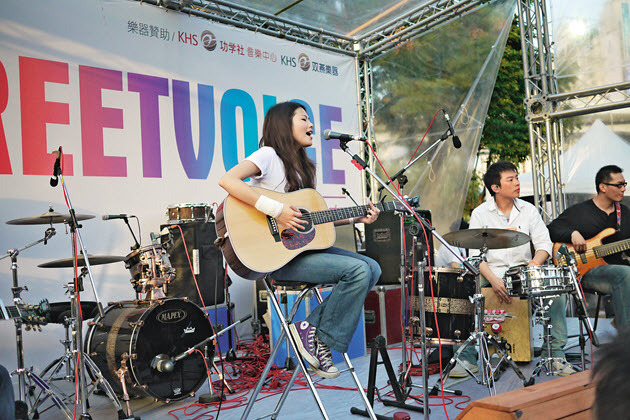 More than 30,000 people attended the event that featured 12 display areas showing aesthetically creative lifestyle products and the performances of 50 bands. The Simple Life Festival is clearly no longer so simple, but because of that, Chang believes the Taiwanese are unquestionably capable of being the group to which the Chinese community looks to define lifestyle aesthetics. "We hope to find Taiwan's confidence, so Taiwan can believe in its lifestyle values," Chang says. The phrase "Taiwan's 100 mountains" is commonly heard, but it is hard to appreciate the significance it has for European and Japanese visitors. "Germany has an area 10 times as big as Taiwan's, but its highest peak is 2,900 meters high," says Hsu Tzu-yih, a German-speaking guide who takes German and Austrian hiking groups up the island's mountains. 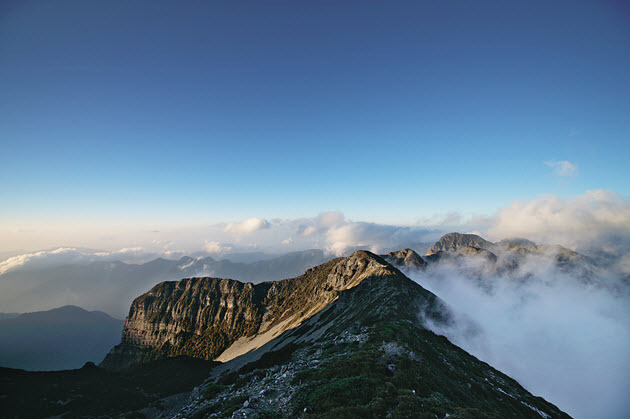 Taiwan has 258 peaks surpassing 3,000 meters, and the 100 most famous of them are called "Taiwan's 100 mountains." Taiwan's Jade Mountain is the highest peak in Northeast Asia at 3,952 meters, higher even than Japan's 3,776-meter Mt. Fuji. The Japanese mountain may be one of the most recognized peaks in the world, and there are other peaks in Southeast Asia that soar higher than Jade Mountain, but none have forests as rich and diverse, with tropical, subtropical, temperate and frigid zones packed into a compact area. "What's interesting is that although Jade Mountain is the highest peak in Northeast Asia, it's relatively easy to climb but can still satisfy visitors' urges to challenge themselves and fulfill their desire to conquer a top peak," Hsu says. In contrast to Europe, where canyons are hard to find, Taiwan's Taroko Gorge is truly magnificent. In addition, most of the mountains in Europe that are above 3,000 meters are either covered in snow or bare rock, unlike in Taiwan where many of its highest mountains have green slopes and trails on which hikers can catch glimpses of a wide array of birds, butterflies, and insects. Some are even home to fascinating aboriginal villages. Scott Fraser, the executive director of the Canadian Trade Office in Taipei, says that though Taiwan may be small, it has many national parks that offer great opportunities to enjoy the outdoors. In his year in Taiwan, Fraser has been to Kinmen, Matsu, Orchid Island, and Green Island, and visited Taroko Gorge twice. Another guide who handles European mountain climbing groups, Mike Lo, says Taiwan's people are generally not avid climbers, rarely hiking up higher mountains, and as a result they remain oblivious to Taiwan's natural beauty. "Yesterday I was in Guanwu in Hsinchu. The red maple trees on the mountain, that kind of fall beauty – we aren't even aware that it's there," Lo says. Western and Japanese visitors also come to Taiwan to watch birds. Although the market remains a small niche, it is steady and caters to the growing interest in eco-tourism. 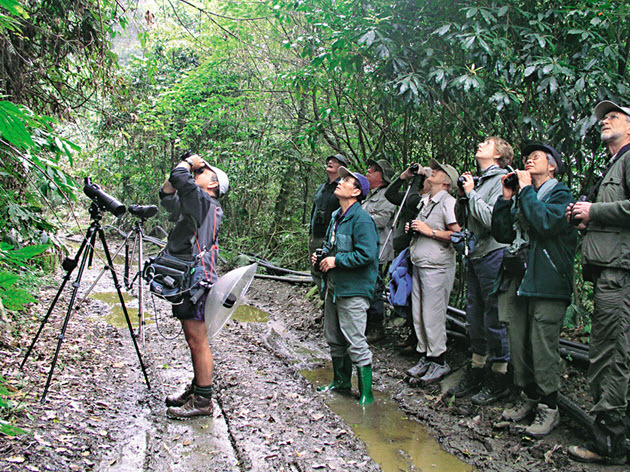 "Coming to Taiwan to go birding has a high return on investment. In such a small place, you have the chance to see over 500 kinds of birds. Whether you're new to the game or you've been at it a while and seen over 4,000 or 5,000 species, it really has its appeal," says bird guide Chiang Kun-ta. Of the 9,000-plus bird species in the world, around 550 can be spotted in Taiwan's natural environment. Of them, 17 are endemic to the island. In comparison, Japan, which is 10 times the size of Taiwan, has only 13 endemic species. Visitors generally only have to stay in Taiwan for two weeks to see 100 species of resident and migratory birds. One bird-loving Brit decided to stay in Taiwan teaching English after realizing he could easily spot more than 400 bird species each year. "All he needed to go birding was a motorbike," Chiang says. The main preoccupation of most bird enthusiasts is to add to the list of bird species they have spotted. Taiwan has the world's biggest flock of wintering black-faced spoonbills, and prized endemic species such as the Mikado pheasant, Swinhoe's pheasant, the Formosan laughing thrush, the Taiwan bulbul and the Formosan blue magpie, and they can all be tracked in areas that are relatively close and easily accessible. Travel writer Chu Chia-ying observes that birding has become a passion in Europe and the United States, and travel agents specializing in birding tours have sprouted up everywhere. As long as Taiwan can build a good reputation in the field, its wide array of species and cultural attractions have the potential to amaze even more visitors from abroad. Taiwanese dining aesthetics, joining creative design with food culture, are among the clearest expressions of local flavor. Homegrown design brands, such as The One, Finding Cheska, Dragonfly Gallery, and New Chi, select stylish tableware and match it with fusion French-Taiwanese sweets, the latest rage among the young crowd. The phenomenon is much like the creative impulse that followed Taiwan's quick embrace of Western culture – a little Taiwanese but maintaining an interesting twist. Designer Chen Jun-liang, who designed the award-winning "Square Earth, Round Sky – Royal Tableware" series, says that people's sense of taste is influenced by their visual consciousness as they absorb the subtle messages conveyed by aesthetics and culture. Consequently, the shapes of the tableware directly reflect spiritual dimensions and human tastes. From the night markets selling bubble tea to a National Treasure Banquet at the National Palace Museum's Silks Palace banquet hall, the common Taiwanese greeting, "Have you eaten yet?" resonates, a greeting that symbolizes the deeply ingrained obsession with food in Taiwan and helps explain why Taiwan's food culture has become a fixture on the global travel stage. 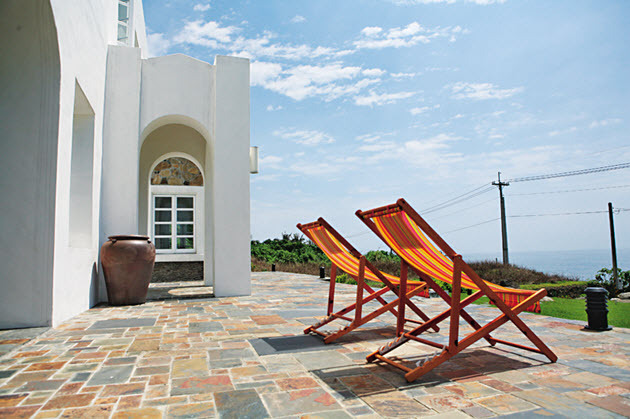 For many Taiwanese, guesthouses are home to the ultimate dream. A number of young Peter Pans are building them, using modern language and emotional attachments to their native regions to revive local legends, and creating distinct styles to appeal to travelers. Li Chia-hua, a 28-year-old Malaysian backpacker who has been to Taiwan four times, says his favorite place is "High in the Clouds" guesthouse, in the picturesque town of Jiufen on Taiwan's northern coast. Ten of his Malaysian friends have stayed there on his recommendation, making his name a familiar one to the owner of the guesthouse, Wu Hsiu-fen. Wu grew up in Jiufen but then worked in Taipei City for more than a decade before she decided to move back to the mountain village and buy an old house overlooking Keelung Harbor. On weekends, her husband takes guests to sites featuring some of Jiufen's human-interest stories, such as the place where the area's first gold mine was discovered and the community where award-winning scriptwriter and director Wu Nien-jen lived as a child. By seeing the area through the eyes of a local, visitors from abroad discover Taiwan's hidden charms. "I really enjoy listening to the stories told by Mrs. Wu and her husband, listening to them talk about how Jiufen has changed," Li says. These secret spots bursting with human and cultural significance can be far more alluring than the village's bustling historical district, for which it is best known. 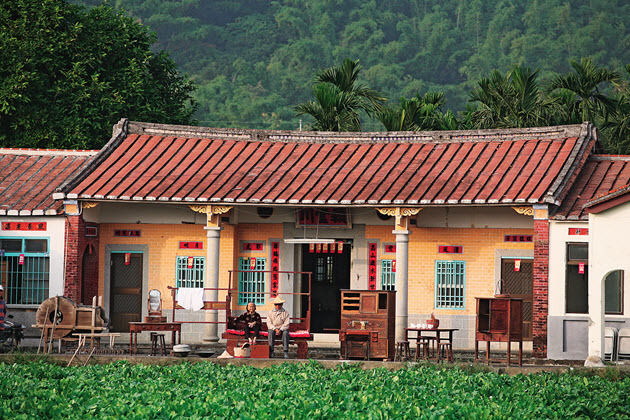 Because most guesthouses are situated in the countryside, they allow foreign tourists to experience the life of the traditional Chinese countryside scholar, as preserved in Taiwan. Pei Chin, the owner of the Riomont Penthouse in Yilan County, lived in California for 25 years before returning to Taiwan and was stunned to find traditional agrarian scenes everywhere. "The forgotten practice in Chinese culture of pursuing learning while tilling the soil was somehow preserved really well in Yilan County," Chin says, and this was one of his inspirations for opening his own guesthouse. To him, this rural tradition of emphasizing education on the farm, steeped in the values of hard work and frugality, forms a striking contrast to the commercialization of the modern world and still holds a nostalgic appeal to many people throughout East Asia. Looking out from Chin's property, the sunshine illuminating the building's big bay windows follows the changes of nature from dawn, to noon, to dusk. 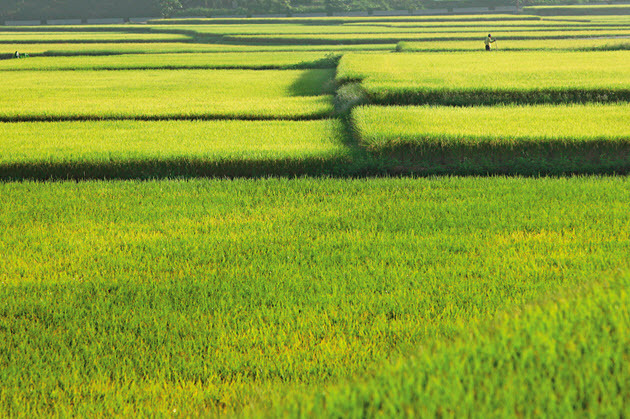 A garret offering a 270-degree view, tender green rice paddies, a cool mountain breeze. Good accommodation, good scenery. It's almost as if Tang-dynasty poet Tao Yuanming's vision of an idyllic pastoral life has suddenly sprung to life. Chin's own vision for Taiwanese guesthouses seems to know no bounds: "Taiwan in the future will sell dreams to ethnic Chinese around the world."